You know what time it is, kids? That’s right, it’s Ask Cranky time! (I need to get out more often.) There have been some great questions coming into the inbox lately. Please keep it up, as I’m always more than happy to answer them. I’m traveling from ROA->SFO in June and SFO->BOS a week later in on UA, and I bought a ticket last week for $456. Today, that same fare, on the same flights is $95 less. That makes no sense to me. Are the UA systems watching minute-to-minute demand for the legs of that trip and ramping up the price as the demand goes up? As demand goes down, do the prices the go down? How can they plan any sort of revenue stream for this? I understand the need to maximize their income, but part of the problem, as I see it is that the flying public sees stuff like this and doesn’t know how to plan. Would the the airlines just be better off just setting a seat price and sticking with it? with this sort of “black box” aura to it. In reality, it’s two forces working together that cause the changes you see. There is pricing and then there is revenue management. Sometimes they’re handled by the same person and other times they’re separate. The pricing guys (what I used to do) set all the fare levels and put them in separate fare “buckets” that are usually not seen by the public. (You can see them, but it probably won’t mean much to most people.) The revenue management guys and their fancy systems then decide how many seats to sell in each bucket on every flight. Usually not much changes until you’re about 3 months out from departure. Then these system kick into gear and start figuring out how many seats to sell on each flight using all different kinds of factors. This will adjust as time goes on. For instance, if the system sets a limit and then sees that a flight is booking faster than predicted, it may clamp down on the number of cheap seats out there because demand is higher than expected. On the other hand, if it’s really slow to sell, the system may open up more cheap seats to stimulate demand. On your ticket, you could have seen one of a few things. It’s possible that it was simply a pricing change. Either a sale fare came out or a regular fare was changed for a variety of reasons, and that’s why you found a lower fare. On the other hand, it could have been a revenue management change. Maybe the system realized that the higher fares weren’t selling very well so it opened up the lower fare buckets and the price the public sees went down. You could also have just been a victim of circumstance. When you bought, there may have been no seats in the lower fare class available, but someone could have canceled their seat and the cheap fare opened up again without any input from the airline. For most airlines, the goal of maximizing revenue doesn’t take into account the impact on the customer of rapidly changing fares. More transparency would be nice, and some airlines have moved that way. But previous attempts to simplify the system have failed. American tried it in the early 1990s with only four fare types, but that blew up into a massive discounting brawl and fell apart. More recently, Delta tried it as well with Simplifares, and that quietly disappeared. Some airlines, like Southwest, have prided themselves on transparency, but over the years they have become less and less transparent like the rest. The airlines that just post a fare and stick to it are usually the ones that end up out of business because they can’t compete. When I started in the airline business many years ago, fares were simple and easy to understand. Domestic had a roundtrip 30day -Q- and 7day advance -B- fare. Tuesday and Wednesday were lower fare days. We had three one way fares F,C,Y except in markets like LAX-JFK which had a 7day advance MAP7 fare. That was it. You knew the rules by heart and so did the public. International fares were just about as simple. Now a days it’s like this blog question, no one knows what you will pay. The rule of buying a ticket fare in advance giving you the lower fare doesn’t apply. You can now wait until the last minute and get the cheapest fare on the plane. There is no reason to buy way in advance except to be sure of being on the flight you need to be on. 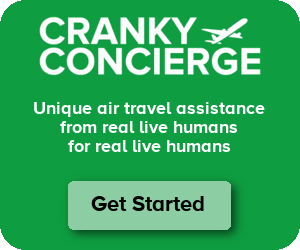 Cranky doesn’t mention that there can be conditions attached to lower fares (No change, change fees, no cancellation, cancellation fees, minimum stay…) all in the name of revenue management (and customer confusion). A smart, knowledgeable traveller can play the system, but even then you might pay more than you like; or you can be lucky when the airline employee is more confused than you are. How do these fare buckets work into websites like Priceline and Hotwire? At least what those websites originally did, in lieu of their current format no different than any other travel site. Back in the pre-9/11 days I would often use Priceline for MSP – YYC flights and almost without fail could get a R/T for $150…always under $200. When those deals started disappearing I used Hotwire, aka, don’t know the airline until you book the flight. Well, knowing NW was the only non-stop I could game it and get flights for under $300. Meanwhile, the whole time NW was usually charging $400-500 for that same flight through their website, 2 week advance purchase, etc. Long ago I gave up trying to figure out why flights to Canada border on robbery (and yes I know about the taxes), but continually wonder what happened to those “unpublished” deals I used to find. Those fares couldn’t have been in a fare bucket? Right? MathFox – Yes, of course. But those fences never result in a fare going down over time. For example, you might have a 14 day advance purchase and a 7 day advance purchase, but most of the time that 14 day advance purchase is cheaper than the 7. There are times where that gets inverted, but in that case, the 14 day fare would never sell. Only the cheaper 7 day fare would be offered. So something else has to change for the fare to go down over time. It can only go up because of the fences. A – Every fare is in a fare bucket, because that’s how the airline’s systems are constructed. So with Priceline and Hotwire, for example, the airlines would file a rate in a certain fare bucket that was a private fare. In other words, only Priceline or Hotwire could see that fare. In most cases, that fare was what Priceline or Hotwire would make from the airline if they sold it. Then the sites would put on a markup to make their money. For example, let’s say that an airline filed a $200 fare for Priceline. If you went and bid $250, Priceline would have to decide if it wanted to accept that bid and make a $50 profit or not. No matter what, the airline gets $200. The other side of this, however, is that the bucket has to have availability. Priceline can’t sell that $200 fare for a flight during Christmas or any other high demand time. The airline may also have a $300 or $400 fare in a different bucket so that Priceline has multiple options for multiple flights. Brian – It’s not completely arbitrary. There is a lot of science behind this, and it’s taken years and years to become this sophisticated. But the whole plan is based on revenue maximization and not on customer ease of use. Sometimes, I think these systems are too smart for their own good, but it’s definitely not arbitrary. What I’ve seen regarding changes of any kind to a ticket once it’s been issued is a change fee. For some reason which still escapes me they won’t change the name on the ticket but they will change departure and arrival dates and times along with return any difference in fare to the customer. For a fee. You then have to decide if the change fee will net you any return or not. In most cases, no. Airfares change like the price of gas and both are driven by years, decades of consumer behavioral data. Supply, demand, optimal margin or anything they can get, it all boils down to what you will pay at the exact moment in time they predict you will actually pull the trigger. Try “SITI/SOTO” on for size. For international airlines they gain or lose money based on where the ticket was purchased and in which currency. SITI – Sold Inside, Ticketed Inside means sold and ticketed inside the country of travel origin (bought in the US, leaving the US). SOTO – Sold Outside, Ticketed Outside – Bought and ticketed abroad but travel actually originates in a different country. Hmmmm….depending on where, say, the euro is, the guy paid more than he would have in the US. Not smart for the consumer, but it happens, and good for the airline. Now, use the four possible permutations of those ticketing options, SITI, SITO, SOTO, SOTI, and you have just one layer of pricing thinking going on. Cranky, You deserve a medal for even trying to answer the question! No, fares aren’t arbitrary. That’s very sad, because, to think, some human being had something to do with coming up with them, and then another human being having something to do with allocating them to specific flights. In fact, why not let supply and demand rule? Right now, fares are just about as crazy as they have ever been. Checking UA’s web site, I see it is offering 8, some days 9 non-stops from IAD to SFO. Lowest fare, one-way, including taxes/surcharges for the non-stops, “available” (meaning there is inventory at which that fare can be sold) this afternoon, tomorrow (Friday), and Saturday, is $519.60. Some connecting service fares for Friday and Saturday is “available” at $158.20. Now, Sunday, Monday, Tuesday, Wednesday, next Saturday, Sunday, and Tuesday, the lowest “available” one-way fare is $119.60 [LA3PN9]. For next Thursday and following Monday, the lowest “available” is $259.60, although some connections are going for $130.20. Now I know, the making of these fares, and the making of “availble” seats at those fares wasn’t arbitrary, but does it make ANY sense. How can anyone take airline pricing seriously when they see such vast differences in fares from one day to the next when supply, demand, and competition don’t really seem to call for RE: the $519.60 lowest Saturday vs. the $119.60 lowest Sunday, or Monday, etc. Is Saturday non-stop demand really higher than that for Sunday or Monday? Outside of supply, demand, and competition, what else is there?. A couple of minutes ago, I saw UA share price for the day (at 1:19 pm EST) had varied between $4.37 and $4.68, 18,285 transactions, 5,222,652 shares. Prices changes were reported every one-hundredth of second and sales were made, best I could tell, with nothing more than someone or something setting an asking price and someone else setting a bid price and agreement reached. Nothing about 3-day, or 14-day advance purchase, or yes or no “L” inventory! Isn’t that (buying and selling shares) the way tickets should be sold? I know, I know…too simple! My own opinion is that the airlines created problems for themselves. Almost all travelers are now aware that the person seated right next to them probably paid a significantly different price for exactly the same service/product. Since the airlines have been messing around on price, the travelers have concentrated on it too ultimately using it as the only reason to choose one carrier over another. It is quite incredible what happens. I used to follow a blog where they would mention on a Wednesday evening that one carrier had increased all fares by $5. On Thursday morning they would then mention the $5 being rolled back. I find it amazing that $5 was enough of a change to notice a drop in bookings! Incidentally the reason airlines don’t allow name changes is so that you can’t resell your tickets to someone else. Before mandatory id, you could easily sell your tickets to someone else providing they looked like they matched the name (ie had the same gender). In fact Supply and Demand do entirely rule the fare structure. While they do not use an instant model of S/D, they have years of data to comb through to find the optimal price point. To prove this point, just look at the average load per aircraft, they are flying near full. This is a good indication that the airline is selling most of it’s inventory, so the price points must be just right. While the airfares may seem arbitrary to most consumers, to a statitician with access to the the data, it would look just right. JK – That Washington/Dulles-SFO example is a great one to dig in to. There are plenty of external pressures that push airlines to do things they don’t necessarily want to do with pricing, and that’s the case in this market. In Washington, Virgin America appears to be the one who filed a 3 day advance purchase at a very low rate. Now they may be doing a more aggressive job of managing the availability of each bucket, but maybe not. United, however, felt compelled to match that Virgin America fare. It’s general practice to remain competitive at the low end when you have comparable service, because price moves a lot of traffic. So, United matches with a fare they don’t want to offer but they feel they have to or risk going out with too many empty seats. Now what you saw is mostly alarming because United has plenty of seats open in the incredibly low L bucket, and that probably means the flights aren’t that full on any of those days. It’s just the 3 day rule that makes Saturday expensive and Sunday cheap. CF, Obviously, there’s story for fares in every market. And, you certainly have an understanding of it, and make it understandable. But for me, now almost exclusively, a discretionary, leasure traveller, with time and money to fly often, I don’t because I rebel at the fare craziness. And, I don’t see how any business can put up with this, either. Take Tuesday, June 2, UA, IAD to SFO, one-way. 8 non-stops, 5 charging $119.60 [LAPN9], 3 charging $294.60 [VA3GN]. My guess is that nothing about these fares has anything to do with UA, everything to do with Virgin. Nice way to run a business! I see the BWI-SFO non-stop is going for $369.60. No Virgin here, but there is WN. The DCA-SFO connections via ORD are going for $130.20 $305,20, $590.20, and $875.20 depending on the time. Nice spread! Up the road a hundred miles at Harrisburg, going by UA Express and on to one of the IAD non-stops that UA is charging $294.60, the UA Harrisburg fare is only $238.20 [W0NX]. No 3-day issue, no Virgin, no WN, but, well, there’s something else, I’m sure! Just examples of why I think the pricing issue is turning off so many potential customers. You price because you can, and you can justify it to someone, but not to your paying customers. Were the industry making money, no one would care. But, that isn’t the case. I don’t see how this industry is going to survive unless major changes are made to how airlines establish and market their prices on some basis that their customers can better understand and, because they might make a little sense, would be willing to accept. I was working at American in the early 90s when ValueFares was introduced: F, Y, 7 and 30-day advance. There were markets at the time that offered up to 100 fares based class of service, time of day, direction of travel and advance purchase. The simplest explanation is that the initiative took the average fare for each market and derived the four-fare structure. This included full price, unrestricted discount, restricted discount, wholesale, private label, leisure volume (cruise), government and military fares along with the net value of corporate contract discounts. The intent was to eliminate spot-market, discounting and other pressures and simply say, “this is what we’ve only ever been getting so let’s just make it so” across the board. The two variables that were not fully considered are the same realities you have outlined in detail today. They are the healthy competitor’s willingness to adopt a similar philosophy and the death’s-door mentality of the weaker competitors that offer any seat at any price just to stay alive. A combination of spite, lack of understanding and fire-sale pricing along with concerns of collusion meant that ValueFares as an industry standard was doomed from the beginning. So, you have what you have today and the likelihood of it ever going away or one day making real sense is slim to none. And of course, it can get even crazier if you start combining fares. Let’s say Harrisburg to Chicago and Chicago to LA are cheaper than the Harrisburg – LA fare. Well, then you’ll get the combo of both. That’s why sometimes these odd double connections price out cheaper. I agree with Cranky. One last suggestion for you is to at least TRY to understand the crazy world of airline pricing from the airline’s perspective. It will help you find the fares you are willing to pay instead of digging thru the outrageous ones that clutter and boggle the mind. Why is the 2PM only available at $500 while the 7PM is still on offer at $129? Simple: All the cheap seats are sold out at 2PM but there’s plenty left for the last flight of the day. Biz travelers tend to want to be home in time for dinner where leisure travelers at least want to be home in time for bed. Airlines know this and will offer the fewest cheap seats on a prime business flight (they’re required by law to offer at least one on all flights – the 2PM probably got exactly that one seat) while offering the run of the house later in the day. To anyone who complains about airline pricing. It is what it is. Think like an airline pricing analyst. Ask what you would do with your inventory in the face of volatile demand, unpredictable competition and the need for any kind of revenue you can get. I promise you will find the fares you prefer at the end of that rainbow. Airline seats are a commodity. Just like any commodity they are trying to sell all of them for the most money they can get. Most airlines use computer programs to figure out how much to sell each seat and when they should raise or lower they seat price. It is all supply and demand. I started at an airline in 1979 at the beginning of deregulation. We had 4 fares, one for payment by cash, one for payment by cash (with a meal), one for payment by credit card, and one for payment by credit card (with a meal). We sold our tickets through Ticketron (predecessor of TicketMaster). Ahhh, we were so ahead of our time! All good comments, and to the Optimist, I do remember the AA 4-fare experiment. As someone who had been involved in transportation pricing much of his life, I appreciate the work of pricing analysts. What is so often missing in pricing, however, is understanding, or appreciation if you will, of what the customer is looking for. Of course, value, but simplicity, understandability, and a little consistency from day-to-day. I TRY to understand airline pricing. I’m not looking simply for the cheapest fare, but whatever I get, I want it to have value for me, to look like I’m being treated fairly among all other similarly-situated buyers, and that it looks to me like the airline is being honest about what it is offering to me. When I see an airline, like UA, currently offering $98.60 one-way, 1-day advance purchase fares for just about every IAD-LAX non-stop, I just shake my head and wonder what is going on. When I see UA, as it did today, send out an email announcing this weekend’s (June 5/6-7/9) E-Fares, and then indicate that tickets mush be purchased by last Friday, May 29, I wonder if anybody really has a clue what they are doing. i read all this twice. and i still don’t get it. i don’t know all the acronyms – oh, UA is united airlines now i have to read it again. so i’m still wondering why if i have the same travel dates, same destinations (seattle to bangkok – okay SEA to BKK) when i goto the price aggregates like kayak.com etc, one day the cheapest price is 850$. next day it’s 1150$ next day it’s $950 etc etc. and this is booking at least two months in advance for a two or three month trip home and back. then what reallly baffles me is going down the rank price listings, they quickly start getting up into the thousands and thousands of dollars like 4000$! for the same “ecomomy restricted” ticket. often on the same airlines that have a much lower price above that. what, like if i’m fool enough to pay 4k$ they’ll kick somebody else off????? There could be two things at work here. One, it could have been a pricing change. More likely, however, is that the airlines no longer had seats available at the lower fare level so it shows you a higher price. Let’s say they had four seats available for the cheap fare yesterday but then four people bought them. Now they have none available at the cheap fare, so you’ll have to pay the next fare up. Or, they could have decided that they could sell those four seats at a higher level so they just stopped selling at the lower fare. That could open back up the next day if they so chose. It’s complicated, for sure. I have been trying to book 2 passengers on Delta flights from CVG to BOS. The fares for the same days and times have varied from 475.00 total for non-stop to 903.00 for the same flights. I have tried to book the flights at the lower fares on 2 occasions only to be notified in mid-transaction that “we’re sorry the lowest fare for these flights has increased”…..significantly. It really smells of the old bait and switch. How in the world does one obtain the lower fare? Deb – That’s really frustrating. I doubt it’s a bait and switch and more likely just clunky technical problems. You can try booking on another site, like Orbitz or Travelocity, if you see the fare available there. Otherwise, just keep trying and hopefully it will go through. Oh boy! What a mess! Here is my recent experience with travel websites. This morning, 2 different flights show up at $454 RT on 3 travel sites. So, I get on phone to tell a family member. While he is booking $454 flight on bookit.com, I go to bookit.com, and the other 3 sites AT THE SAME TIME, and fare have gone up to $494! (for the same FLIGHT). There is something more sophisticated going on here.